Stress is the body's way of coping with problems. It helps keep it in proper balance. Unfortunately, in today's world stress is chronic. The lack of sleep, an improper diet and the toxic environment contribute to keep stress levels unnaturally heightened, something which the body is not able to handle. While stress cannot be eliminated completely, it can be reduced by changing the approach to how it is handled. Everyone reacts to stress in different ways. The methods used can either ease the pressure or enhance stress until it balloons into high blood pressure and heart disease. Good health is as much a product of how stress is handled as it is with exercise and a good diet. Throughout the years people have developed habits that either increase their stress level or keep it manageable. Changing those habits are not easy to address, but if health is to be maintained it is essential to eliminate them before they make life a misery. There are seven habits that many people employ that elevates their stress level. Eliminating them leads to better self-control and contentment. Smoking only appears to have a relaxing effect. Aside from the negative effects on health, smoking actually causes more stress than it relieves. The chemicals in cigarettes affects the nerve centers of the brain that helps to dull the mind. It's this effect that many smokers attribute to a feeling of relaxation. Once the effects wear off, it's necessary to reach for another smoke to subdue the returning negative emotions. While a glass of wine with a good meal certainly helps to ease tension, it's the excess use that creates problems. Drinking in excess is often used as a way of isolation from problems. Unfortunately, problems never go away unless they are addressed and solved. It's no secret that the results of the alcoholic are a broken marriage, difficulty relating to relatives and friends, loss of a job and respectability in the community. Some people find comfort in food. Once stress becomes too great, they reach out for something sweet and fattening. Seldom do you see the overeater gorging himself on a salad or lots of fruit as a coping mechanism. Of course eating too much only adds to existing problems. Obesity is one major cause of diabetes and heart disease. Few people ever have a caffeine addiction. But many have become dependent on caffeine, without which they can't get through the day. Caffeine is a drug. While a morning cup of coffee can help dispel sleepiness, it's drinking far too many cups of coffee that leads to restless nights that only help to elevate stress levels. Some people simply do not feel fulfilled unless they have new clothes, new shoes and unnecessary possessions. There are the “pack rats” who fill their homes with clutter and find comfort in being surrounded by things. Materials provide them with a sense of self-importance and elevates their feeling of self-worth. Unfortunately, their wanton spending leads to financial hardships and bankruptcy. This method simply does not help alleviate existing stress levels. The act of accumulating materials leave many feeling a sense of shame that only drives them to spend more. The use of hard drugs like heroin or cocaine or reliance on prescription medications do lead to addictions in order to feel good. Drugs are used for purposes other than for what they were intended. Often, SSRIs are prescribed to treat depression and anxiety but have a negative impact on the patient who uses them. It's no secret that many anti-depressant drugs lead to suicides, murder and violent behavior for those who cannot handle stress in a positive way. People react to problems in different ways. Some people see problems as a challenge. It inspires them to improve their self-worth, while others simply collapse and wallow in despair. The majority of people simply react negatively. They become angry or despondent. Their reaction is to abuse themselves or take their anger out on others. Some hold their anger inside until violence erupts. Stress is compounded, but not alleviated. 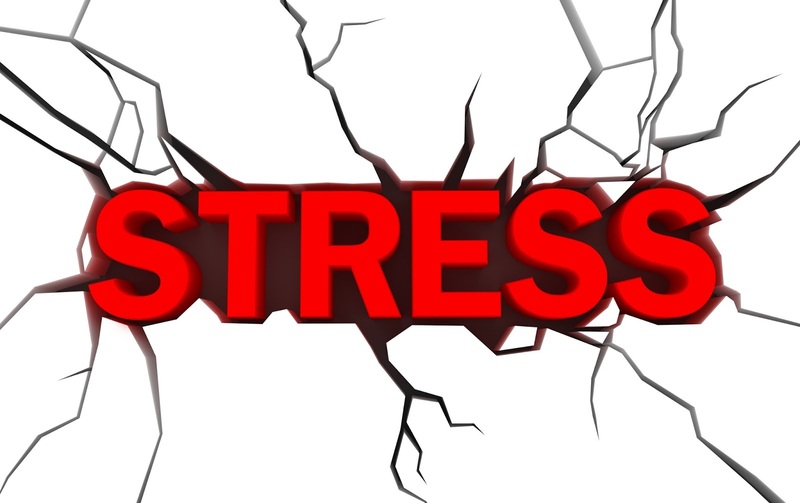 To better cope in the world today, it's necessary to find the major reason that is causing excessive stress and eliminate it before it becomes a chronic health concern. In the world of today, it is those who can relax and take a positive approach who find better peace and a happier future.